As the recently-passed 21st Century Cures Act is implemented, we suggest a six-factor approach to advancing the practical applications of genomics. 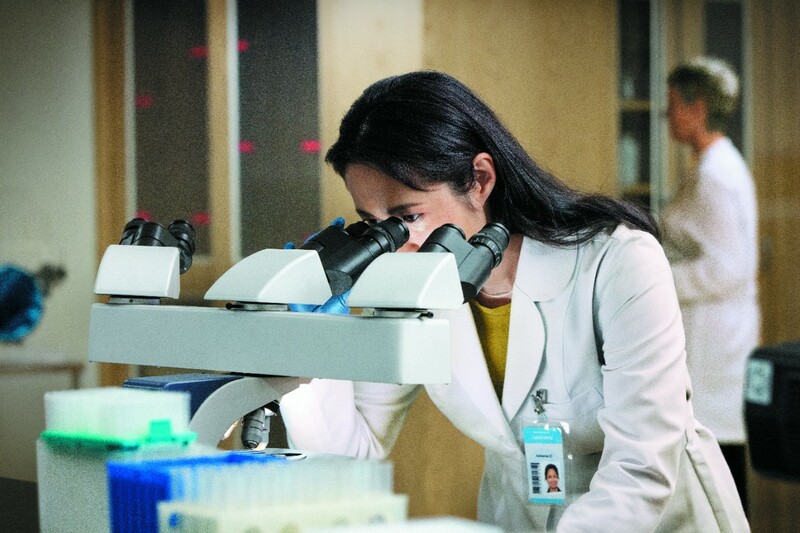 The goal is to create transformative opportunities to expand our understanding of biomedicine, reshape clinical care, and improve human health while broadening opportunities for innovation and economic growth. Share the Data - Without friction-free, ethical sharing of data between research organizations, Precision Medicine will never fulfill its promise. The reason is simple: Where the 20th century saw one disease, Precision Medicine will see 50. Thus, single organizations will alone be unable to collect enough research subjects in these narrowly-defined diseases to understand how different treatments work for each. Pooled data, from multiple organizations – e.g. clinical institutions, life science companies, patient groups, and the public – can overcome this difficulty, but only if there exists a data-sharing infrastructure that is both trusted and flexible. Keep the U.S. in the Lead - Continue federal funding for strategic health initiatives such as the Cancer Moonshot, the Precision Medicine Initiative, and the Veterans’ Administration’s Million Veteran Program (MVP), and ensure that genomics and next generation sequencing (and similar technologies) are essential parts of these programs. Donate My Data - Only by addressing the question of “who owns my data" will patients be able to seamlessly give truly informed consent to institutions of their choice. The 21st Century Cures Act makes great progress by directing healthcare organizations to give patients access to data in their electronic health record via a “computable format, including using patient portals or third-party applications and common cases when a provider is permitted to exchange and provide access to health information." Next, policymakers need to determine a standardized machine readable consent form to facilitate patients’ donation of their data to research endeavors, in harmony with practices of the international genomics community. The apparent impossibility of anonymizing genomic data will merit special attention as well. Show Me the Money - Insurers, including Medicare, are funding genomic testing for specific chronic diseases like cancer, HIV, and heart disease in patients and their families, significantly increasing offers of predictive and preventative choices. However, the limits on reimbursement place both the patient and the healthcare system at risk. As Congress considers cost savings policies that will transform healthcare delivery, genomic mapping will need to be one of the chief considerations to enable our healthcare practices to target and accelerate care. Reimbursement should, of course, be limited to situations where value has been demonstrated. Bring it Now - Precision Medicine will add to the flood of information clinicians must have to deliver the best possible care to patients. Thus, the healthcare system will have to redouble its efforts to give patient-relevant knowledge to clinicians at the time it’s needed, as well as educate clinicians on the general principles for using this knowledge. Clarify the Rules - As with the regulation of medical devices and diagnostic tests, clinicians and the healthcare system will benefit from clear guidelines that emphasize patient safety and privacy while removing unnecessary obstacles to innovation. To avoid delays in such a rapidly evolving field, policymakers and regulators should work with industry to establish guidelines for clinical decision support systems and their component elements, based on their intended use, the seriousness of risk to the patient, and the principle that marketplace competition between systems works only in an environment of disclosure and transparency. On March 29, Intel, Pfizer and Oracle will be in Washington, D.C. for a congressional briefing on measures needed to accelerate genomic medicine. Watch for live tweets from @IntelHealth on key information we learn at the session about accelerating genomic medicine.